Sculpted out of the desert, Dubai Hills Golf Club features challenging bunkers, wide fairways, sparkling lakes, and stunning greens. 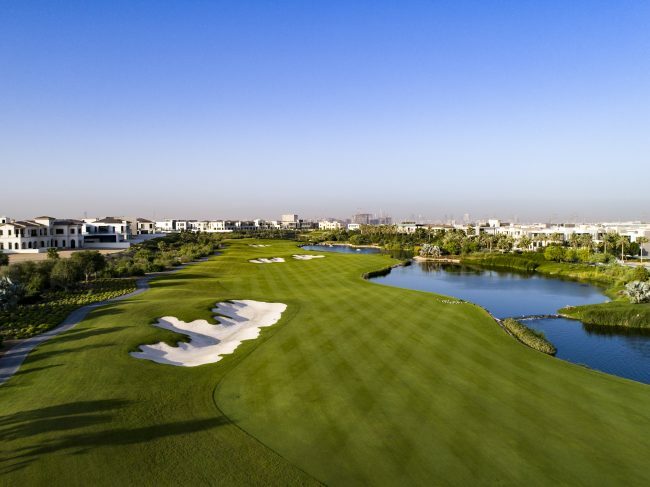 The golf course is set on land nearly the size of 63 football fields, complete with meandering wadis. The clubhouse is full of Arabian style, becoming an iconic feature of the course along with the beautifully designed Academy building. 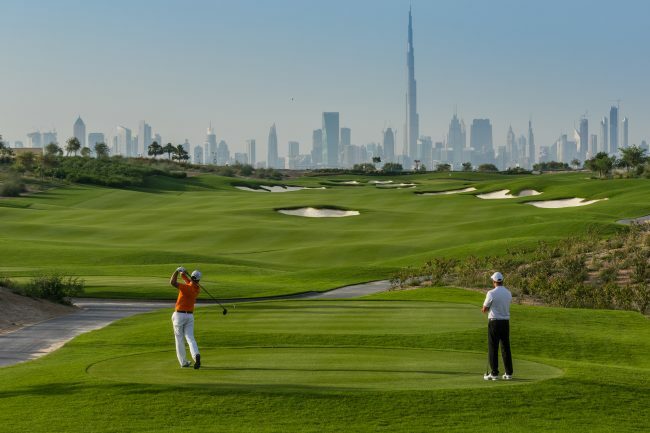 Playing a round of golf on this picturesque course is accompanied by magical views of the iconic Burj Khalifa. Designed by Gary Johnston, the new Dubai golf club is set to become the city’s most iconic golfing destination, operated by Troon Golf and managed by Emaar Hospitality Group. The spectacular course is full of memorable holes that have been created to be both playable and challenging for all types of golfers. The course has also been created with deep bunkers and you will come across water features on some of the holes. Gary will also be designing Dubai’s next golf project, Emaar South which will be constructed in a style that is quite similar to the course at Arabian Ranches Golf Club. JRG Dubai has brought two new foodie spots to Dubai Hills Golf Club – The Duck Hook and Hillhouse Brassiere. Both restaurants take pride in sourcing local ingredients for their culinary delights and offer stunning views across the 18th hole. The Duck Hook is set to become the typical 19th hole pub at the golf club. Whether it’s teeing off first thing in the morning or at midday, Dubai Hills Golf Club is an unforgettable golfing experience that is only a short drive away from Downtown Dubai and promises unbelievable views of the city’s skyline – this is definitely one to add to the bucket list. golfscape’s goal is to increase golf participation all over the world with leading technology that will bring courses into the 21st century, making golf more accessible for everyone. 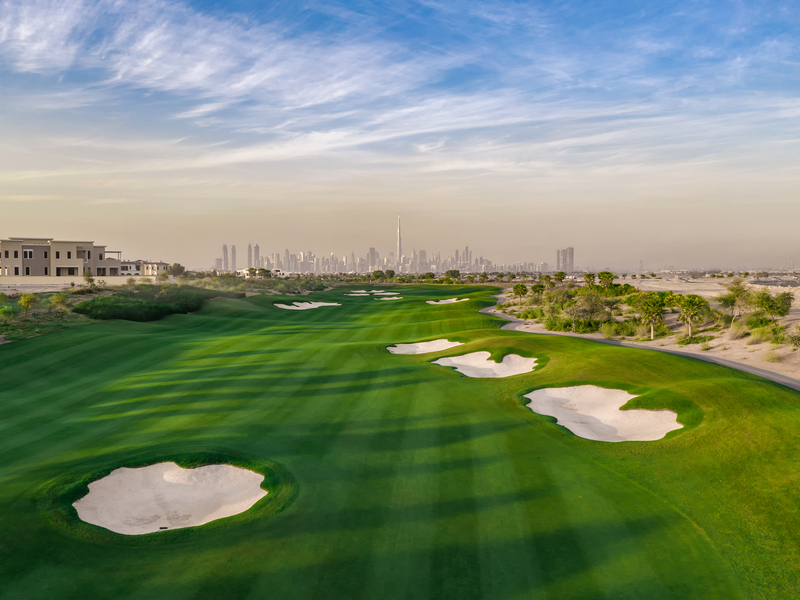 With a beautiful new course opening in the golfing paradise of Dubai, we hope to see more people traveling to the city to play luxury golf and also offer a wide variety of courses to the local community.